Renting a room or a property is a great way to make use of extra space and earn some money. But before you list it, make sure that it will bring you the best return on the investment of your time and money. Everything about the property should immediately signal “welcome” to each guest. But you don’t have to do a complete rehab to ensure that your rental looks clean, bright, and in good repair. Once inside, the flooring in the entryway should be clean and in good repair. Consider replacing vinyl tiles or old carpet with a sturdy laminate or tile that will weather well over time. Take a look at the hardware throughout the home. Is it old and in need of replacing? Do the bedrooms have locking door knobs? People traveling for business with their co-workers will want the security and privacy of a locking bedroom door. For the security and comfort of your guests, make sure that windows open, close, and lock easily. You may need to replace window screens and provide fans to encourage guests to open windows rather than run the A/C in warm weather. Windows should be provided with curtains, blinds, or shutters for privacy. Use light-blocking curtains or other window-treatments in the bedrooms. If the plumbing fixtures are over 10 years old, consider replacing them. Handles can easily become dirty looking and harder to clean over time. This needn’t be expensive—good quality, low cost fixtures can be found on Amazon or your local hardware store, and you can probably make the replacement yourself with a little help from YouTube. Finishes like brushed nickel or rubbed bronze can also bring your home up-to-date. Guests will appreciate multiple usable electrical outlets in each room. If your home has too few outlets, no need to hire an electrician—purchase power strips for the bedrooms, living room, and work area. 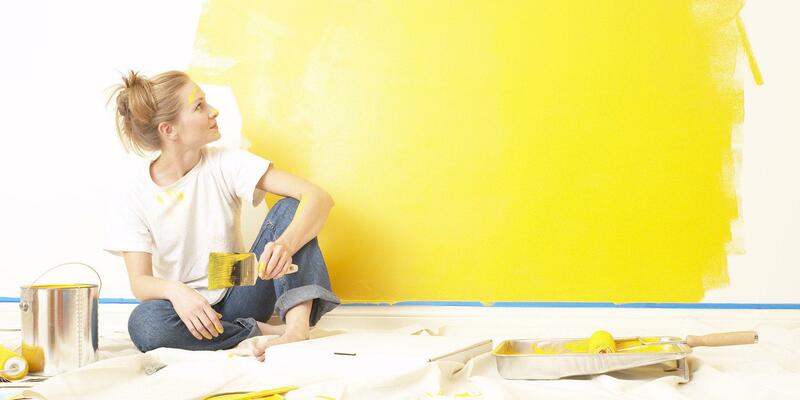 One of the cheapest yet most impactful ways to transform the appearance of a space is with paint. New white paint can provide a clean, airy feel, but on every wall it can feel institutional. Consider a cheerful yellow in the kitchen, soothing blue in the bedroom, and an accent wall that complements the furnishings in the living area. Paint color selection doesn’t have to be complicated, but it can make a dramatic difference to a space. Do not forget your kitchen cabinets—repainting is far cheaper than installing new cabinetry. After you’ve made your improvements, make sure that your listing showcases them well with clear, bright photographs that show off each room and its amenities in the best light. These small steps can go a long way towards making your guests feel that you care about the place and about their experience. How to Improve Curb Appeal – for Less!